Typically, getting your hands on a foul ball knocked into the stands at a baseball game is a positive event. We all want to take a game ball home, but we don’t get crabby when some other fan pulls it off. It’s one of the things that bonds us around the love of the game. 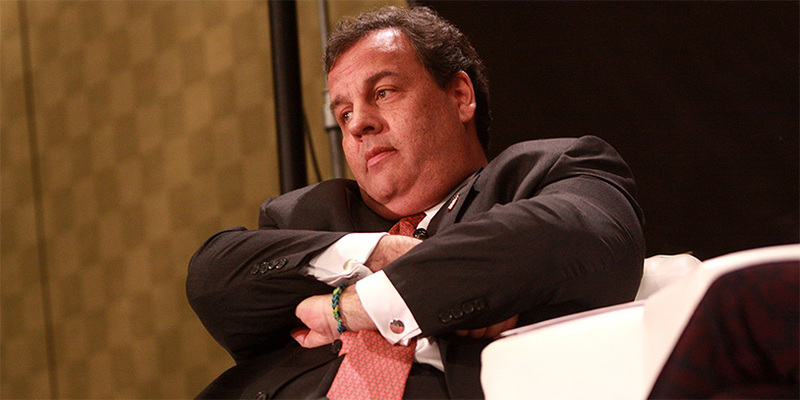 But leave it to disgraced New Jersey governor Chris Christie to ruin even that. Christie, whose political star has been on the wane ever since the Bridgegate scandal where his staff had several lanes of the George Washington Bridge closed as political revenge against the mayor of Fort Lee, and his failed Presidential campaign and eventual cucking by Donald Trump didn’t help matters. After the budget shutdown forced state beaches to close and Christie was photographed sunning himself on one, his approval rating dropped to a dismal 15%. As of late, Governor Christie has been trying to pivot into a post-politics career, auditioning to replace retiring sportscaster Mike Francesa on WFAN. But if this clip is anything to go by, sports fans like him even less than voters do. The Mets were playing the Cardinals at Citi Field last night and Christie was sitting just behind the first base line. Cards second baseman Paul DeJong popped a foul into the stands and Governor Christie caught it with one hand, a feat that would elicit cheers from a more popular politician. Instead, the locals turned on him, letting out deafening boos even after he gave the ball to a young fan.